We’ve been kicking around the Maidenhead area for about 5 years now and we’ve done our fair share of exploring the local fare. For us, eating out usually means finding a place that serves a burger because with two boys, that’s the only way of tempting them to eat out. But who am I kidding? I love burgers too. We love burgers so much that when we’re not eating them out we make them at home on a Saturday night. 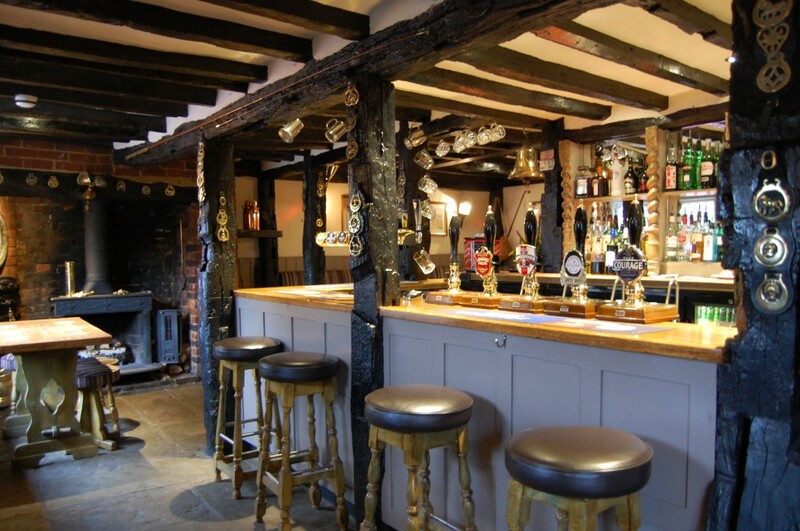 The Old Swan Uppers in Cookham is probably my favourite drinking pub in Cookham. I love the low-ceiling-fire-place ambience, I love the beers they serve and I even love their position. What I wasn’t expecting was to love the food as well. I’ve eaten from their tapas menu in the past and been delightfully impressed by the quality and variety of the plates, and the price. Their bar food delicacies are shaping up to be my favourite, particularly the pork bites and apples sauce and the scotch egg served with sage salt. But I had not eaten a full meal at the Swan Uppers until very recently, and of course, I had the burger. The burger was so good, I rallied the troops at home promising them I’d found the best burger in the borough. We all ordered one. And we all agreed – the Old Swan Uppers in Cookham holds the prize for serving up the best dang burgers in the land! It’s everything from the huge portion, to the care at which the food is assembled and presented on the board, the patty is moist, the bacon is the most incredible I have tasted in my life and all the sauces, cheese and extras are spot on. 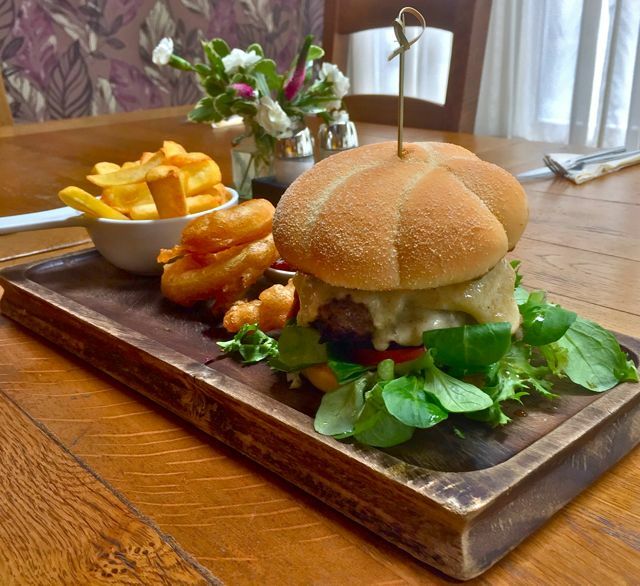 Served with some onion rings and a good serve of perfectly cooked chips – this burger alone is worth a trip to Cookham. Having eaten at the Swan Uppers a few times now, I can confidently say that there are people inside their kitchen that truly care about the food they’re serving up. Every time I’ve had a meal there, the evidence was clear from the attention to detail, the quality of produce and the ability to produce what I feel is some of the best pub food in the greater Maidenhead area. And the name? Swan Upping is the annual census of the swan population on stretches of the Thames in the counties of Middlesex, Surrey, Buckinghamshire, Berkshire and Oxfordshire. This historic ceremony dates from the twelfth century, when the Crown claimed ownership of all mute swans.